Reading a great book on holiday is often one of the most appealing aspects of getting away. But what if you could actually write your own story? Recent reports reveal a growing demand from people who want to blend their time away with learning a new skill. 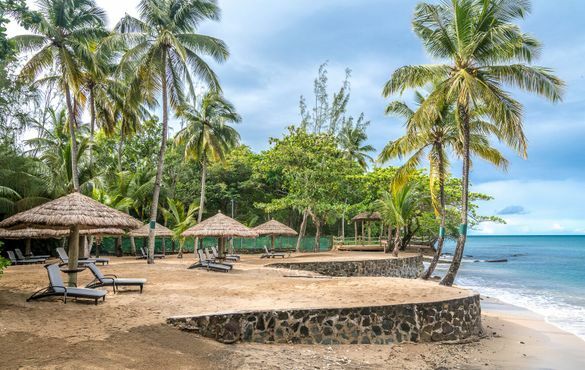 The Saint Lucia Tourism Authority and luxury boutique hotel, East Winds in Saint Lucia have just launched its first ever Creative Writing Retreat. Running over seven nights in November 2019, guests can enjoy an amazing week at the resort and explore the island whilst honing their novel-writing skills. Saint Lucia is a natural setting to inspire aspiring authors. Affectionately called the “Helen of the West Indies,” it is known for its natural beauty, including the majestic Piton Mountains, glorious golden beaches, a tropical rainforest and one of the world’s few drive-in volcanoes. The island is also famous for having the most Nobel Laureates per capita in the world. Arguably the most famous of all was the late Sir Derek Walcott, who received his prize for literature in 1992. A distinguished playwright and poet, Walcott’s epic book-length poem Omeros is his most acclaimed work. Available across UK tour operators, the week-long writing course will be run by editor Victoria Pepe. She has worked in publishing since 2007, first at Little Brown Book Group, where she worked on the literary imprints of Virago and Little Brown, before spending time both as a Literary Scout and a freelance editor. She now works as an editor at Amazon Publishing, specialising both in commercial fiction and in narrative non-fiction. She is the co-editor of I Call Myself a Feminist: The View From Twenty-Five Women Under Thirty. The course is aimed at people who are keen to improve their writing skills in a beautiful setting. It is for those who have an idea for a story but don’t know where to start or have written their first, yet to be published book, perhaps in their spare time. It covers finding the story; its structure; developing a point of view and the characters; creating the voice and dialogue and editing. Judith Milne, general manager of East Winds said: “People choose to stay with us because of the experiences we offer. Our guests have told us that they love learning new things whilst on holiday so we wanted to introduce this week for people to try. We have also invited local authors to come and discuss their work and meet the group too to talk about what inspires them. And of course, our guests will get out and about and experience the island on some special excursions.